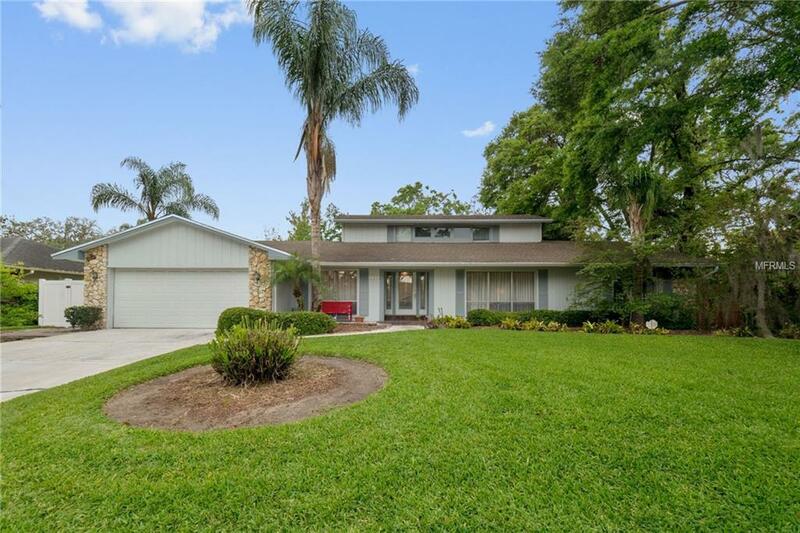 Great Maitland location! Come see this well cared for one-owner home in the Stonewood community. The home features four bedrooms, three full bathrooms, one half bathroom in 3,729 square feet on an oversized lot (just under acre). Formal living and dining rooms are just off the foyer. Follow the foyer into the family room with an expansive view to the all seasons Florida room and the pool deck beyond. Kitchen opens on to family room/dinette area and has been updated with soft-close, solid wood cabinetry, extra storage space and newer appliances. Large master suite on the second floor features two walk-in closets, dual vanities, and a spacious dressing area. Three bedrooms are located downstairs. One of the bedrooms could serve as a second master or perfect guest suite as it features an en suite bathroom, walk-in closet and direct access to pool deck via the bathroom. Large heated pool, spa and deck anchor the back yard which is surrounded by flower beds waiting for your favorite annuals and perennials. There is also a plant gazebo. Zoned for Seminole County Schools and just minutes to I-4, and a multitude of shopping venues, restaurants and more.